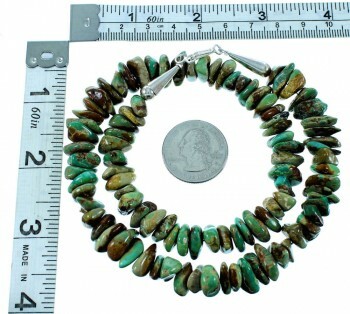 Necklace measures approximately 18-1/8" long and weighs 66 grams. 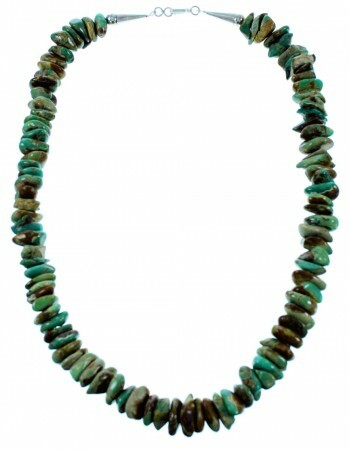 Take advantage of the great price on this amazing necklace! 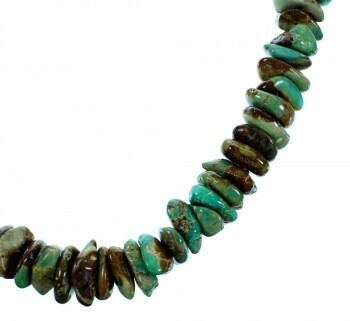 This necklace is hand strung out of genuine sterling silver and real Turquoise beads with an average measurement of 13-mm. 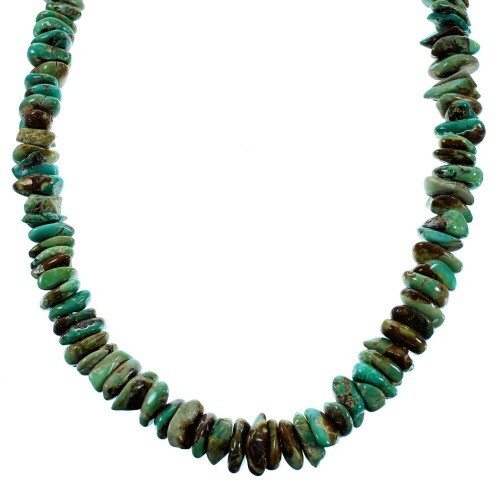 Each end of the necklace is completed with a silver cone and bead for a splendid look. The cones are stamped sterling.